Mini gem encrusted bottle caps turned into pins! 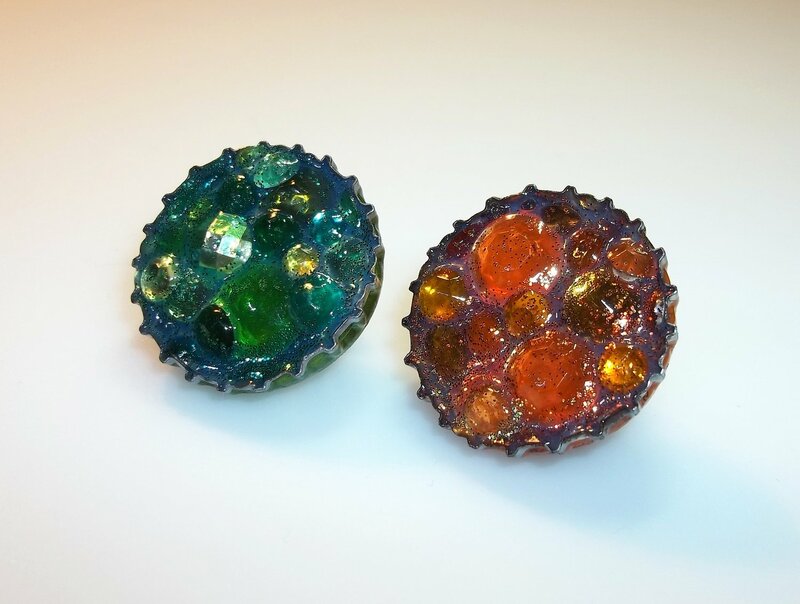 Two pins affixed with a strong permanent glue on bottle caps, one with green gems and the other with orange gems. Each ring is made of metal and affixed with a strong permanent glue.